Whilst walking through the opulent marble-clad trophy room and hall of fame in Real Madrid’s Estadio Santiago Bernabéu; you’d be forgiven for being over-awed by the sheer number of honours amassed, and the full A-Z list of world class players who’ve graced that famous white jersey in the club’s 109-year history. From the modern day superstars like Ronaldo, Kaka, Ozil, Casillas and Ramos, to the greats from years gone by like Raul, Zidane, Beckham, Schuster, Di Stefano and the hundreds more on show, you really feel as though you’ve arrived at the epicenter of football. Galactico after galactico, superstar after superstar, world-beater after world-beater, they’re all there, laid out in order of nationality. Brazilians, Argentineans, Italians, Englishmen and Spaniards galore, but intertwined within this display of justifiably glorified wizards of the game, you’ll see a solitary Scotsman. Despite being a so-called ‘wee nation’ in terms of football, Scotland has produced its fair share of players who wouldn’t have looked out of place plying their trade with Real Madrid. Kenny Dalglish, Denis Law, Jimmy Johnstone, Jim Baxter, Davie Cooper, Bobby Murdoch, Gordon Strachan, John Greig and Billy McNeill to name but a few were good enough to rub shoulders with the greats of Madrid, but none of these men have claimed this honorable place in the Bernabéu for all eternity. Step forward Mr John Fox Watson; Real Madrid’s only Braveheart. Watson’s name won’t be one that springs to mind when the grand history of Madrid’s greatest achievers comes to be written, but rest assured, his place in the history of the club remains as a unique and significant one, both as a Scot, and a Brit. Born in Hamilton in 1917, Watson’s early footballing experience was about as far away from the Bernabéu as you could possibly imagine, as he dawned the not so famous jerseys of Scottish junior clubs Waterthistle and Douglas Juniors before WWII. 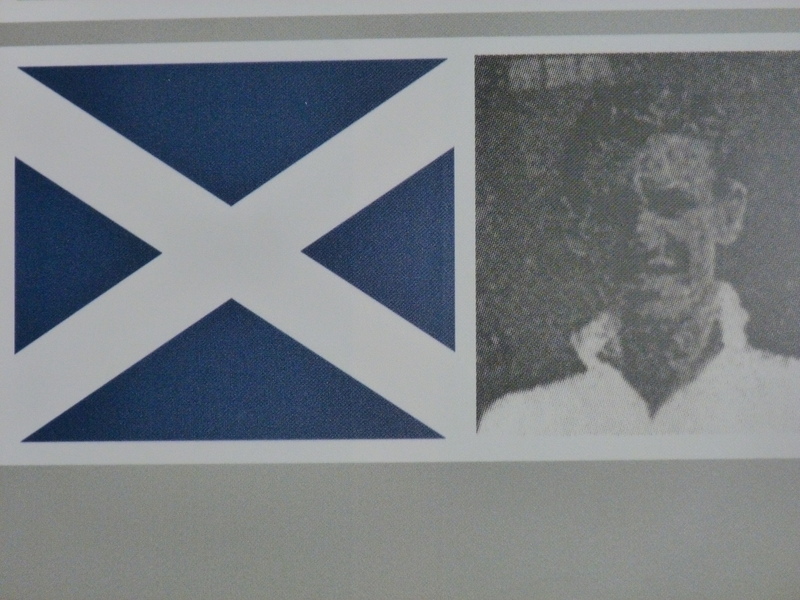 The Scotsman signed for Bury just before the war, but failed to make a first team appearance. However, between 1946-1948, the centre-half spent arguably his most successful career period at Fulham, turning out for them 71 times and finding the back of the net twice. Then came Watson’s fleeting moment of glory. In December of 1948, he joined Madrid as a player coach (at a relatively young 31 years old), turning out on just one occasion for the supremely successful club. The match in question was a 3-1 defeat at the hands of Celta Vigo, but he’ll be forever etched in history as the first (and only) Scot ever to play for the Spanish giants, as well as being the first British player ever to play for them. This paved the way for the likes of Laurie Cunningham, Jonathan Woodgate, Steve McManaman, Michael Owen, and David Beckham to make the trip to Madrid. Watson’s time at the club coincided with something of a rebirth for Los Blancos. Months before he moved from Fulham, Madrid opened their stadium ‘New Chamartin’, which was latterly renamed to the way we now know it, in tribute to the president who propelled the club to be a major force in Spain and across Europe, Santiago Bernabéu. Bernabéu set out to rebuild the stadium and training facilities that had been destroyed in the Spanish Civil War, as well as embarking upon a bold new transfer policy of procuring world-class players from abroad, most notably attracting the great Alfredo Di Stefano in 1953. Real then charged on to become the most successful football club in the world, cruising past top-class opposition with style and poise, attracting a colossal global fan base and brand synonymous with success. In the days after Watson, the team have won the European Cup/UEFA Champions League on 9 separate occasions, won La Liga 29 times, lifted la Copa Del Rey 9 times, and were awarded the prestigious ‘FIFA Club of the century’ accolade by the game’s governing body, as well as numerous other trophies. The Scotsman returned to Britain in 1949 to play for Crystal Palace for two years, turning out 61 times before joining non-league Canterbury City in the twilight years of his career. Watson took little in terms of finance or professional glory from his time in the Spanish capital, but nobody could ever deny this man his place in history as the one and only Scot who turned out for the great Real Madrid.